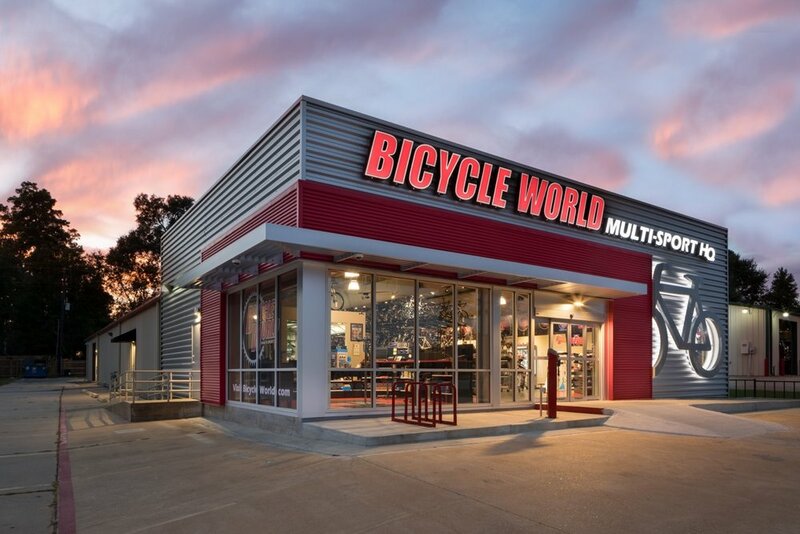 Bicycle World selected a strategic location in Magnolia, Tx to develop their first freestanding location in the greater Houston Area. 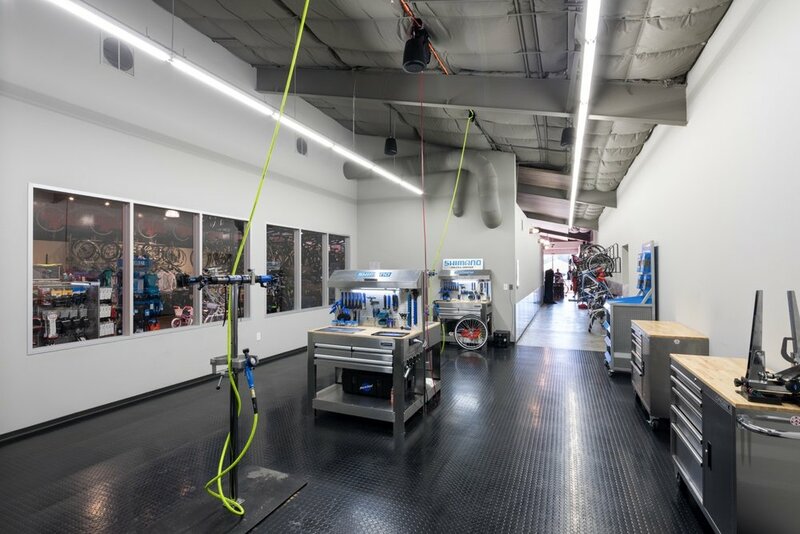 The CEO challenged MG Architects to redevelop a vacant, forgettable metal building into a flagship location to serve the growing needs of the biking and Tri-sport community in the bustling area adjacent to The Woodlands. 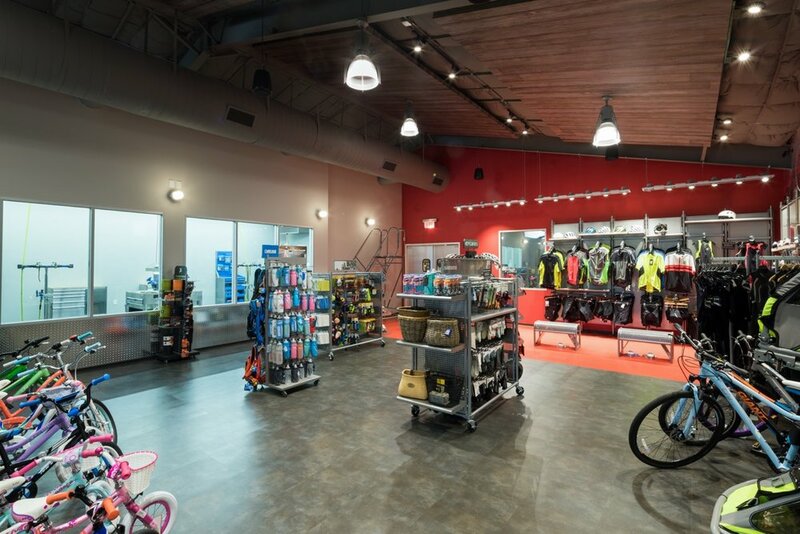 The store offers sales space for all Tri-sport equipment and gear, a repair shop, bike fit and seminar area as well as warehouse and assembly areas. The results feature a dynamic, inviting entrance that celebrates the bicycle and the services within.